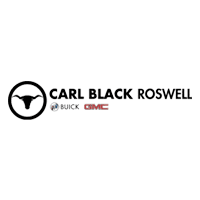 We at Carl Black Roswell want to be your GMC dealer in GA and believe we can prove to you why! At our dealership, you’ll be treated like family and helped to find the right car to fit your needs, not the car some salesperson pushes on you. In fact, it’s because of our professionally trained staff that the Carl Black Automotive Group has been so successful. Our team of motivated experts will listen to your story and work alongside you to consider your budget, top priorities, and luxury aspirations. We treat everyone who steps into our showroom like the neighbor they are and want to build a long-lasting relationship with you so that Carl Black Roswell will be your GMC dealer of choice in GA.
Getting to us for a test drive or a service appointment is easy! We’re located just north of Atlanta, GA on Alpharetta Highway. If you’re just stopping in to check out our inventory, you won’t be disappointed with our vast selection of new and used cars. With over 500 vehicles in stock at any time, we’ll be sure to find exactly the car or truck you need! We’re here to keep you on the road, so if cash is a little tight, we have flexible financing options that our friendly staff will be happy to go over with you. We want to make sure your car buying experience at our GMC dealership in GA is not only successful but an experience you can look back on for years to come! Other GMC Dealers in GA Can’t Compete with Our Selection of New Cars and Trucks! The 2019 GMC Terrain is taking the streets by storm and getting drivers pumped with its new array of tech and luxurious features at non-luxury prices. This compact SUV, which “hit the gym” and lost 400 pounds of weight for the 2018 remodel, features a standard body type for all of its model types but has four distinct and upgradable options to make your Terrain the classiest SUV on the road. These include the SL, SLE, SLT, and the ever-popular Denali. The 2019 GMC Terrain comes standard with Front-Wheel Drive but can be upgraded to All-Wheel-Drive for drivers who want extra traction when off-roading or in dangerous weather conditions. Other favorite upgrades include features for advanced safety, performance, and entertainment. The GMC Sierra 1500 is something of an American icon, and the 2019 model of this truck certainly delivers on that legend. Capable of towing between 6,500 and 9,700 lbs and hauling 1,500 to 2,543 lbs, you’ll be equipped to get the job done. Just be careful your friends don’t assume you’ll be helping them move, or you’ll find your weekend eaten up by others who are jealous of your ride! 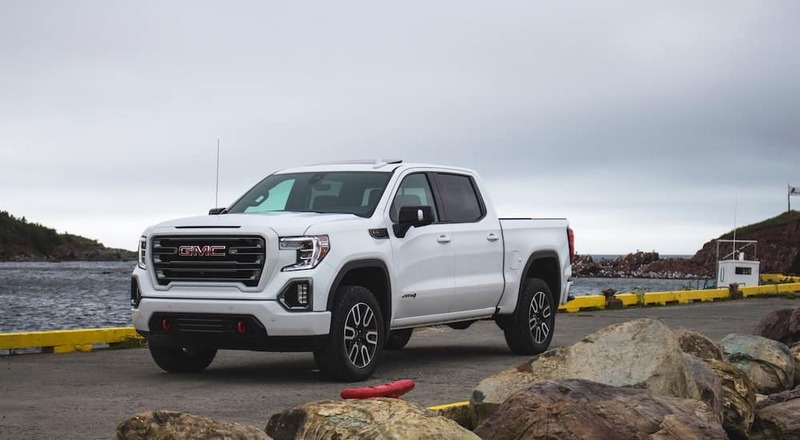 Weighing up to 5,400 lbs, the 2019 GMS Sierra is a force to be reckoned with. Even so, this Sierra gets outstanding gas mileage for a truck of its size, getting up to 20 mpg city and 23 mpg highway. So, load up your cargo and hit the road with the confidence that nothing can stand in your way! Drivers of the 2019 GMC Yukon will tell you that this large SUV can’t help but make a statement. This SUV is both bold and powerful on the road and will be turning heads even as it keeps your family safe within. Curb-appeal goes hand in hand with outstanding capability for the 2019 GMC Yukon. You won’t sacrifice power, copious cargo space, or convenience for the SUV’s sleek exterior design. The Yukon comes in either standard or XL and in different model types, including the Yukon SLT, Yukon STE, Yukon Denali. This SUV comes with your choice of 2-Wheel Drive or 4-Wheel Drive for an added level of customization. Whether you’re picking up the kids from school or taking your 2019 GMC Yukon off the beaten path with all your sporting equipment, you can be confident that you’ll get there safely and in style. If a new car isn’t right for you, this GMC dealer in GA has got you covered! We have many used cars to choose from, including Certified Pre-Owned vehicles from Chevrolet, Buick, and GMC which offer amazing value and will give you confidence in your final decision. All of our Certified Pre-Owned vehicles are thoroughly vetted with a 172-point vehicle inspection and detailed reconditioning process. It’s because of this special treatment that our CPO vehicles come with two General Motors-backed factory warranties! Whether you choose a CPO car or another used vehicle, you can rest assured that the team at Carl Black Roswell has your back so that you can drive home with peace of mind. Other GMC dealers in GA are unlikely to show you the exceptional level of attention and respect the dedicated staff at Carl Black of Roswell will show you when discussing financing options. The decision to purchase a new or new-to-you car is a big one, and shouldn’t be made hastily. We’ll help you navigate our current specials calculate payments and complete our quick pre-approval form to get the ball rolling. There’s no need for a pre-arranged appointment, just stop into our showroom on Alpharetta Highway and we’ll answer all of your questions about financing options for your new GMC! There are many factors that set the car buying experience at Carl Black Roswell apart from other GMC dealers in GA. You’re sure to love our wide selection of new, Certified Pre-Owned, and used car and trucks. The friendly staff in our showroom and service department are both knowledgeable and experts in all things GMC and Buick. We are open every day, with extended evening hours for our service department so that you can stop in at your convenience without missing work. This GMC Dealer in GA can easily become your one-stop-shop for all your buying and servicing needs! As one of the GMC dealers in GA that you have to choose from, we hope that you will consider us the next time you’re looking for a great new or used car or need to have your GMC vehicle serviced!